Creating a scalable business can be overwhelming. Naturally, many of us want to move beyond 1:1 services and leverage our business so that we can create more money, time and freedom. The problem is that not many people know how to achieve this. Hopefully, after reading this article, you’ll have a clearer picture of how you can scale your soulful business. Ok so I want to ask you this.. What was the reason you started your business in the first place? More freedom, money? Perhaps to create a global impact and feel fulfilled? So tell me, does your business reflect that? Most of the clients that come to work with me are working with 1:1 clients. They feel like all they do is give, give, give to their clients, having no bandwidth or energy left to grow their business. If this is you, you’re in the right place! 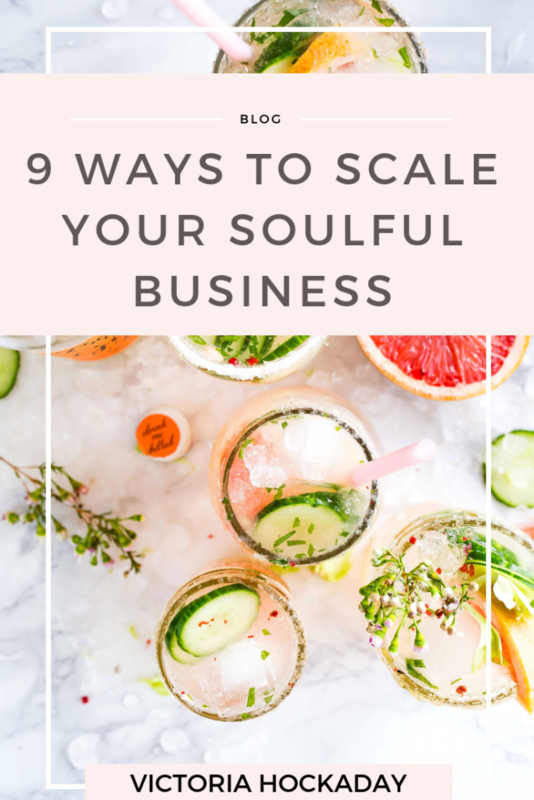 Here’s 9 ways you can scale your soulful business. When you started your service-based business you probably didn’t think much about designing a business that could be scaled. I imagine that you started out saying yes to clients because you needed the money. The problem with this approach is that by saying yes to everyone you’re limiting your business growth. Instead of helping everybody you want to think about having a target market; a group of people that share one common problem. Once you know what their problem is, you can create a compelling offer to serve them. When you focus on solving one problem, you’ll have a predictable process to help them achieve their results. Predictable problems and predictable processes mean predictable sales. If you’d like help with creating a soulful and scalable offer, you can download my printable here. For example, if you’re a business coach and you’re looking to help your clients scale, you might want to focus on serving clients that are already generating £3k in sales per month. This is because you’re more likely to achieve their goal if your clients are already creating momentum. I like to use rocks as my metaphor for this. Imagine, a ton of rocks rolling down a hill. The rocks that are already moving are likely to go further compared to the rocks that are still. So in this case, make sure that you consider asking the right questions to qualify your prospects. Who do I enjoy working with? Who energises me and lights me up? Which clients feel heavy and which clients feel light? Which clients make me experience love and connection? When you’re clear on which clients lift you up and bring you into alignment, it’s going to be much easier for you to get things done. If you’re solely delivering 1:1 services, it’s likely that your business feels heavy. Productising your offers and creating a product suite is essential for scaling your business. When you package your skills into products, you’re able to leverage your business. Above that, it amplifies your credibility because you’re seen as the ‘go to’ person in your industry. Furthermore, because it raises your credibility, you’re able to raise the prices of your 1:1 services so that they’re profitable. A key part of productising your business is creating a compelling offer. More often than not, business owners will spend months and months creating a course. They’ll invest a ton of time and energy into it only to find out that no one wants to buy it. This can leave business owners feeling really disappointed and deflated. Sound familiar? I can reassure you that you’re not alone on this one! One of the reasons why this happens is because many service based businesses are “ideas” driven. They get stuck in ideas and get lost in their own heads without asking what the market wants. To move from ideas to sales, you want to pre-validate your offer and determine whether your ideal client actually wants your offer. This can be done by speaking to your ideal clients and asking them what they’d want help with. If you’d like help and support with creating a compelling offer, don’t forget to download our guide here. Once you’ve created an offer, you’ll want to think about automation. When you leverage automation in your business, you’re able to bring time back into your life. Most of my clients that are looking to automate their business are concerned that their business will lose personal touch and human connection. They want to help their clients create breakthroughs and feel supported but so there is less weight on them. Courses and programmes are a great way to encourage your clients to create more independence and empowerment for themselves. The key here is setting up your automation in a way that doesn’t compromise human touch and connection. To do this you can create content that creates a deep connection with your clients. You can do this by leveraging audios and videos. You could also create a weekly or monthly accountability call for your clients so that they can get support. This way you can create a programme that is worth your time without compromising human connection. 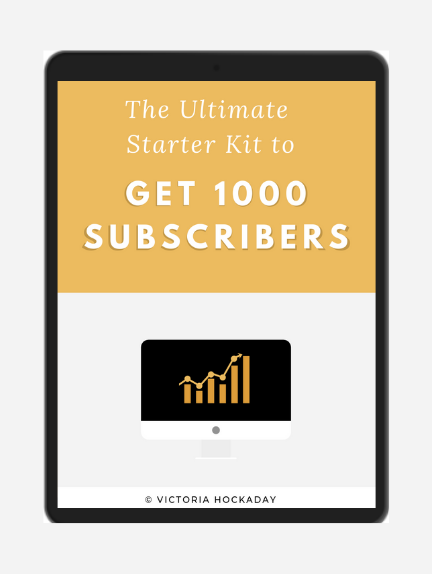 If you’re maxed out with 1:1 clients, you’ll want to think about delegating. Delegating allows you to pass the done for you elements of your offers to your team. For example, if you’re helping clients launch a book you might delegate the done for you aspects, such as the landing pages, email sequences and checkout pages. If this makes you feel anxious and overwhelmed, don’t worry. It doesn’t need to be set in stone. You can play with it and start delegating your work on the go and when you’re more confident about what needs to be delegated you can gradually increase it. You can start with a couple of hours a week and then you can gradually increase it to 7 and 10 hours a week. If you want to scale your business and serve on a bigger scale, you want make sure that your clients are happy. When you seek customer feedback it allows you to elevate the delivery of your products. Remember, your ideal clients are the lifeblood of your business, without them you wouldn’t have a business. It’s important that you listen to them and adjust your offers so that they’re as useful as possible for them. For example, if you’ve created a group programme you might find that people struggled to go through the course because of a lack of accountability. Therefore, you might add more face to face interaction into your programme so that people have more support and accountability. This might look like having a weekly zoom call or accountability group so that your clients can support each other. Don’t overlook this step, listening to customer feedback gives you the opportunity to amplify your clients results. If they’re happy with their results, they’re far more likely to become repeatable customers. Having repeatable customers will scale your business beyond belief. 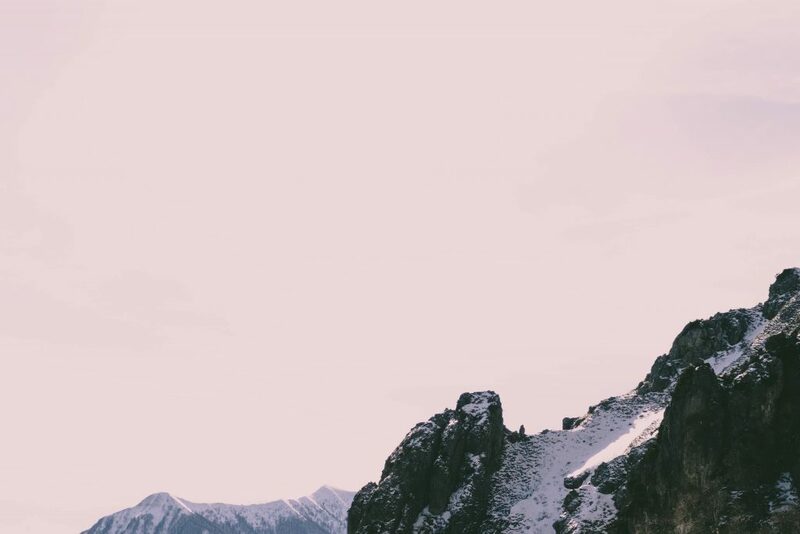 If you want to scale your business, you’ll want to think about creating an evergreen marketing system. This might look like having a webinar that helps your clients solve their particular problem. For example, if you’re an energy healer and you help your clients to connect with themselves, you might create a webinar that helps them discover their strengths. When you implement webinars in your business, you’re able to move from 1:1 conversations to 1:many. Webinars allow you to talk about your signature system and how it helps your clients achieve a specific result. They also raise your brand positioning and allow you to charge higher rates for your 1:1 services. Once you’ve run a few webinars, you can create an evergreen webinar. This allows you to automate the delivery of your webinar so that people can learn more about your offer without you having to physically be present. Webinars are a fantastic way to create predictable sales in your business, so I’d really take this into consideration! You can start driving traffic to your offer once the back-end of your business is set up effectively. This can be through organic or paid traffic. Facebook ads allow you to get more eyeballs on your business so that you can drive your leads and scale your business. However, before you do any Facebook advertising you want to make sure that you have a solid offer that is converting well. To scale your business, you want to get crystal clear on your ideal client so that you can qualify them. Focus on working with people that you enjoy working with. This will help you stay in alignment so that you have the energy to scale. Productise your business to bring back more money, time and freedom. Before you create any product, focus on creating a compelling offer that your ideal clients actually want. Automate the delivery of your programmes and delegate the implementation to your team. Create an evergreen system so that you can serve on a bigger scale and create predictable sales. Seek customer feedback so that you can amplify their results and gain repeatable customers. 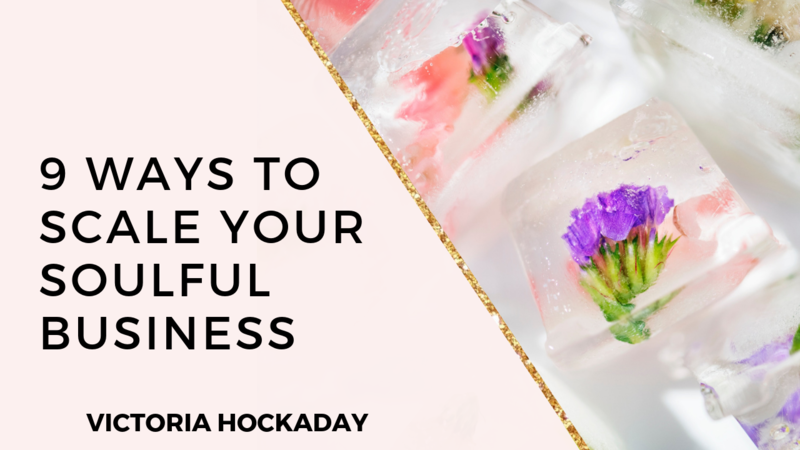 Going through these steps will really help you to scale your soulful business. If you’d like to take the first step and create a soulful and scalable offer, you can download our printable here. HECK YES! SEND ME THE KIT! 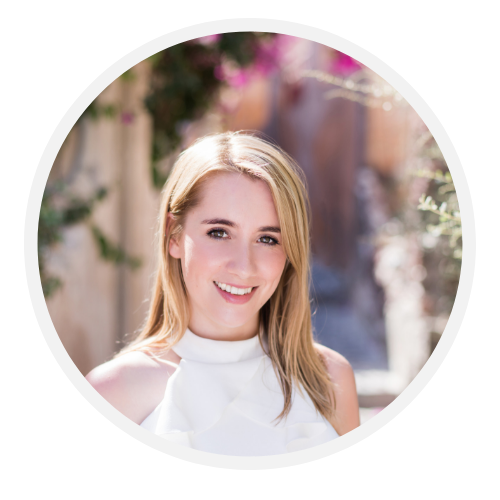 Victoria Hockaday helps business owners grow an audience and create and sell online courses with ease. so that you can sell online courses! So that you have a tribe of the right people ready to buy!